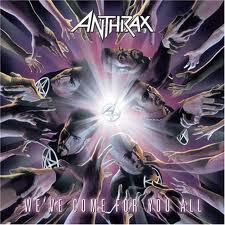 It’s no secret that I’m a huge fan of the John Bush era of Anthrax, but in my opinion, We’ve Come for You All is easily on par with any of the records of the band’s classic lineup. While I like all of the Bush records, this one is special. It’s an album born out of Sept. 11 through the eyes of New Yorkers. An album that expresses both the anger and disbelief over what happened that day, as well as an album that seemed to show a new unity within the band. We’ve Come For You All belongs in the conversation next to Among the Living as the band’s best effort. 3. Soilwork, Figure Number Five. I might earn the ire of a segment of Soilwork fans by putting this record so high on my list, but I still love it. In fact, I enjoyed most of the injection of melody into the melodic death metal bands in this time period. 4. Alice Cooper, The Eyes of Alice Cooper. 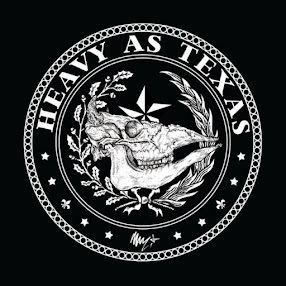 Alice returns to his garage rock roots on this album, and while I don’t like it as well as the heavier stuff, there are some fantastic songs here. “Novocaine” and “Between High School and Old School” are classic Cooper numbers. 6. Godsmack, Faceless. This was probably Godsmack’s best record. The only one that’s pretty much good from front to back. “Realign” is my personal favorite. 7. Arch Enemy, Anthems of Rebellion. Another melodic death metal band injects more melody, and again I like a record that a lot of Arch Enemy fans don’t. There was a thrashy feel to this one that I dig. 8. Circle II Circle, Watching in Silence. Zachary Stevens introduces his post-Savatage project, and with appearances from former bandmates Jon Oliva and Chris Caffery and most of the songs co-written by them, it felt almost like another Stevens-era Savatage record. 9. Opeth, Damnation. The flipside to 2002’s Deliverance, this record featured a lot of mellow, proggy and even acoustic pieces. It was a major departure for the band, but still a great album. 10. Children of Bodom, Hate Crew Deathroll. This was CoB’s introduction to the larger world outside the extreme metal fanbase, and with good reason. It introduced a more thrash-influenced side of the band that connected with me. 11. ZZ Top, Mescalero. The band’s final album for RCA was a bit of a return to form, though not completely. The polish and pop they picked up in the 1980s is mostly gone here, and it’s a solid album. It will be interesting to see what their upcoming collaboration with Rick Rubin produces. 12. Dimmu Borgir, Death Cult Armageddon. “Progenies of the Great Apocalypse.” Enough said. 13. Nevermore, Enemies of Reality. Not Nevermore’s best work, but still a good record. 14. Blind Guardian, Live. Perhaps it’s a bit of a cheat to put a live record on the list, since it’s largely made up of the best songs from the band’s catalog, but this is a good one. 15. Skid Row, Thickskin. The introduction of singer Johnny Solinger was a mixed bag. The songs that were good were really good, but the rest of it was mediocre.